At the northern end of Vancouver Island lies a maze of islands and waterways, full of wildlife, beautiful scenery and the history and traditions of the Kwakwaka'wakw First Nations people. 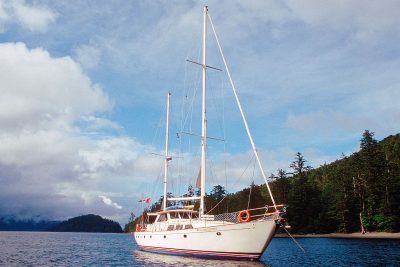 Set sail with expert guides, on a unique departure for a truly personal exploration of British Columbia's incredible Pacific Coast. The Pacific Ocean funnels into the protected waters of Johnstone Strait creating strong tidal currents and incredibly nutrient-rich waters. Every year millions of salmon, returning to spawn in the mainland's rivers, must converge to pass through the Strait and into the surrounding channels and fjords. This salmon attracts a number of predators who gather to take advantage of nature's feast. Large pods of orcas can be seen hunting in Johnstone Strait each summer, whilst nearby in Glendale Cove, Knight Inlet, grizzly bears congregate to feed on the spawning fish. 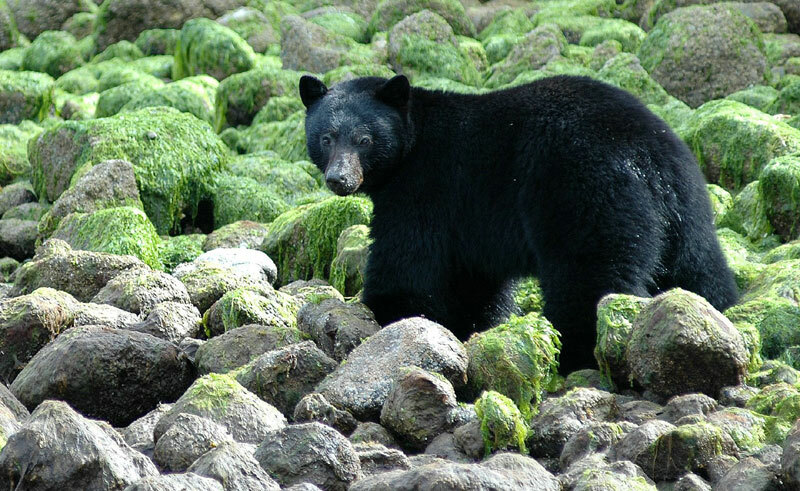 Black bears and bald eagles are also frequently spotted in this area. 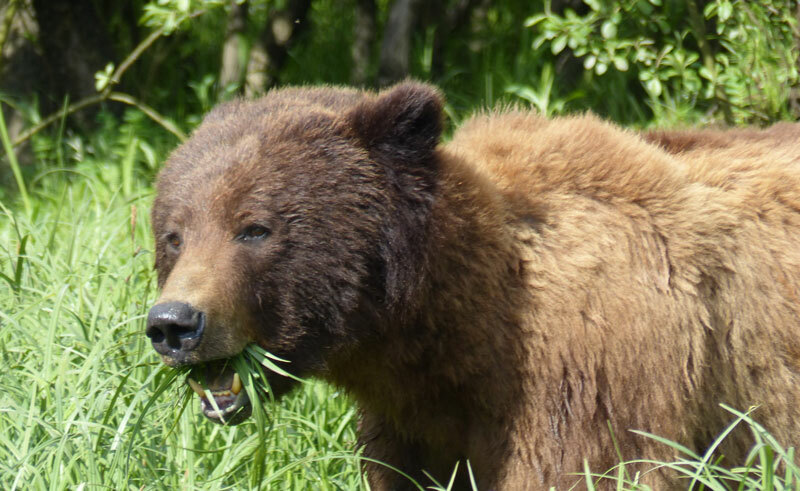 Incredible wildlife encounters are combined with the chance to visit remote First Nations communities, uncover fallen totem poles and hike into the rainforest. Kayak across sheltered bays or sit back on deck and soak up the scenery as you glide past with sails billowing. This itinerary also includes the traditional territory of the Kwakwaka’wakw First Nation, whose connection to the Max’inux or killer whale can be traced back through generations, not only through art, song and dance, but also through the verbal history of the Max’inux clan. 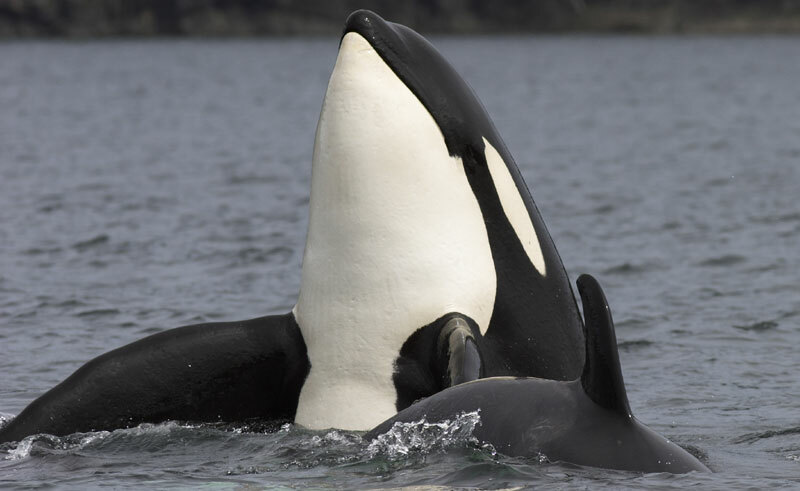 Northern Vancouver Island is the habitat of eight species of cetacean and is a global trendsetter for whale research, responsible whale watching and conservation. This area is one of the first three areas globally to be approved by the new Whale Heritage Site, set up by the World Cetacean Alliance, in order to promote sustainable tourism in key whale watching areas and help to protect whales, dolphins and porpoises in their natural habitats. Make your own way to the top of the Cab's Fuel Dock on the Port McNeill waterfront. Here you will meet your crew and board the Island Odyssey, your floating home for the next few days. Following an introductory safety briefing your journey will begin. Port McNeill is the closest port to the core orca area, and with luck you should discover your first pod of whales this afternoon. Watch them foraging for salmon, spyhopping and breaching, learn about the behaviour of these fascinating creatures, listen to them calling on the ship's hydrophone and learn how to identify individual animals. 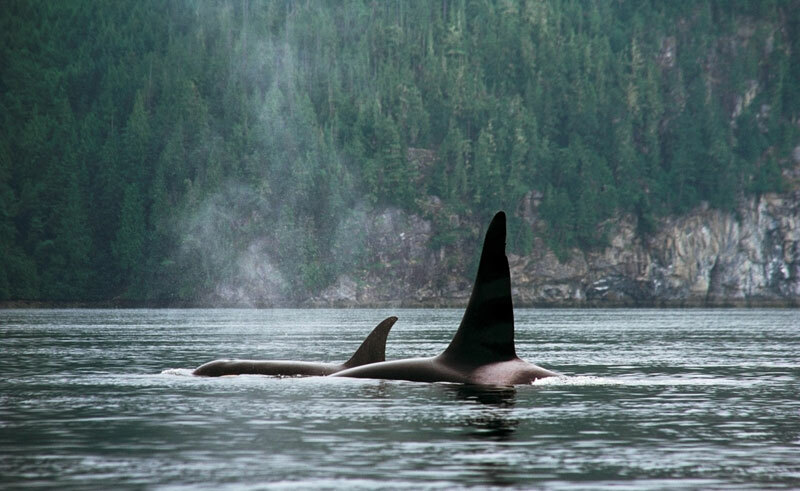 Explore the waters of Johnstone Strait in search of further encounters with the orcas. You may also spot humpback whales, Dall's porpoise and other marine wildlife. There may be a chance to visit the modern Kwakwaka'wakw (Kwakiutl) community of Alert Bay, where you can stop at the U'Mista Cultural Centre to see a fascinating collection of potlatch masks, as well as time to explore the abandoned Kwakwaka'wakw village of Mimquimlees. Here you will find fallen totem poles and a rich cultural heritage. 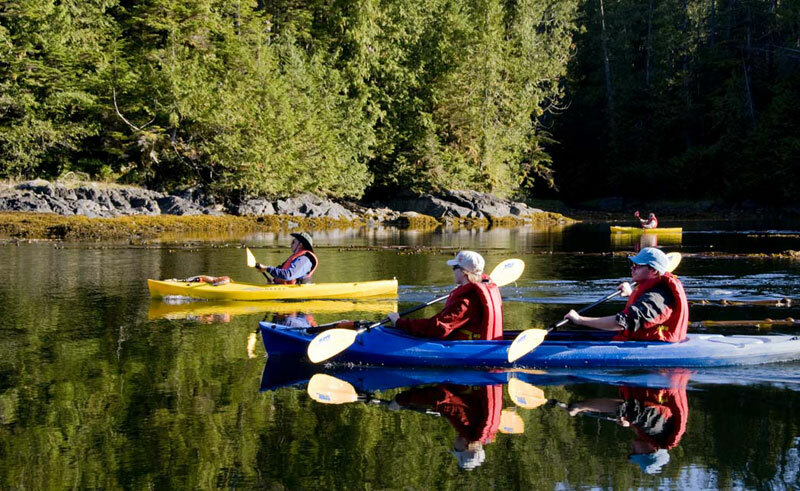 Cruise into Knight Inlet to spend time amongst the grizzly bears, take to the water in a sea-kayak and head ashore to hike amongst the ancient trees of the coastal rainforest. 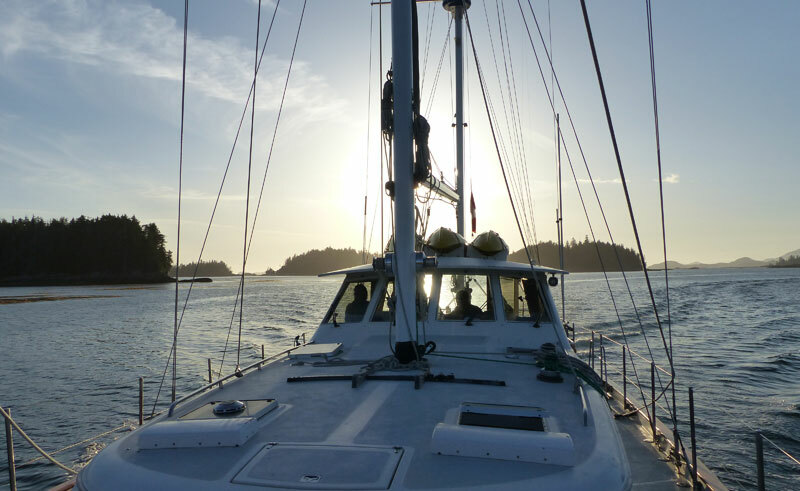 Each day will bring new sights and experiences as you sail through this very special corner of British Columbia. Mid-morning you will return to Port McNeill as your voyage comes to an end. All voyage itineraries are intended as a guideline only - your captain will keep the route flexible in order to take advantage of wildlife sightings, weather and tides, and the interests of the group. The Island Odyssey is a custom 68-foot ketch featuring just 8 private cabins.